Marvel Comics' Air Raiders #1-5, produced under Marvel's Star Comics line. 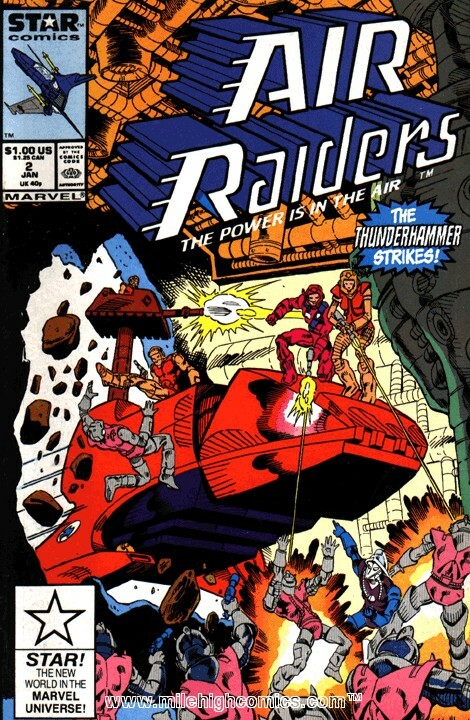 Air Raiders #1 November 1987 "SINS OF THE FATHER"
Synopsis: In Issue 1, we are taken to the land of Airlandia, and witness the dissension between son and father in the struggle for freedom. 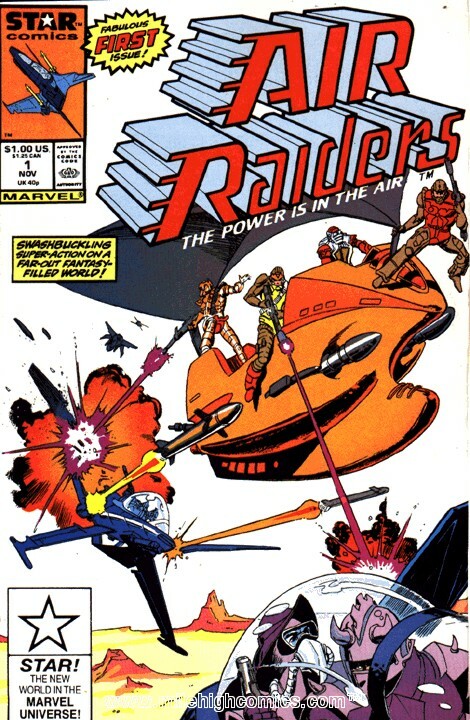 Air Raiders #2 January 1988 "SUBTERFUGE"
Synopsis: In Issue 2, Emperor Aerozar imprisons The Lady Eeleta who is looking into the cause of her father Archion's whereabouts. 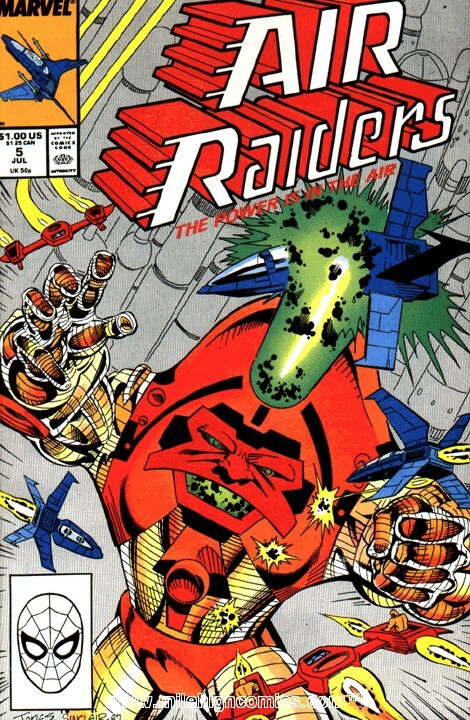 Air Raiders #3 March 1988 "THE GOOD FIGHT"
Synopsis: In Issue 3, Rokk and the Air Raiders attempt to save Eeleta from Emperor Aerozar. 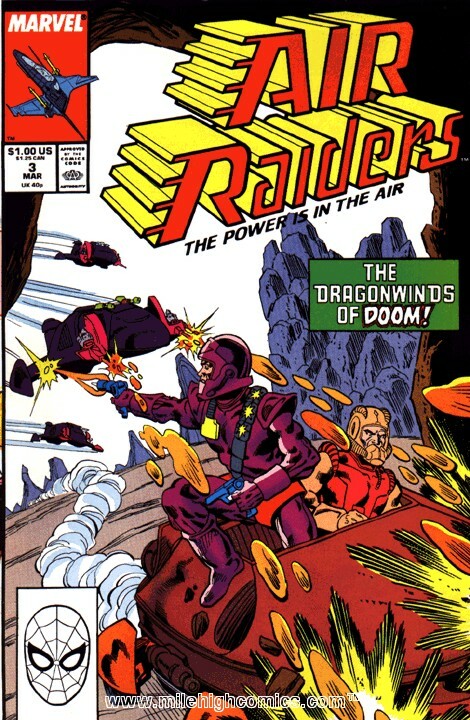 Air Raiders #4 May 1988 "ORCHIRDS FOR THE BARON"
Synopsis: In Issue 4, Baron Ee-Lon's Flowers of Fear cause a rift in Airlandia, and only the Air Raiders can stop him. 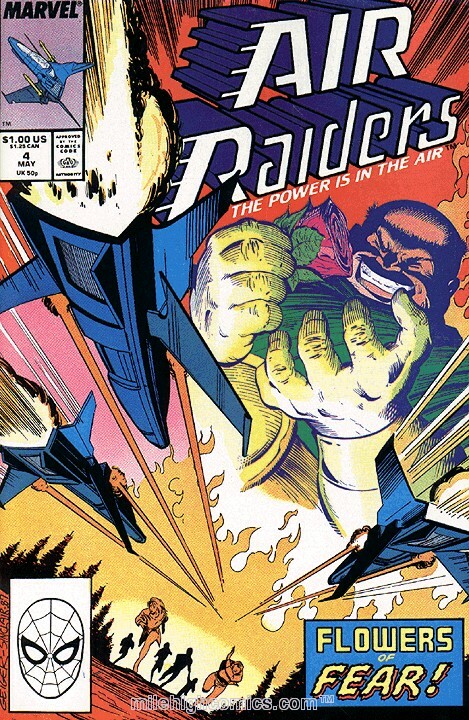 Air Raiders #5 July 1988 "WINDS IN THE DARKNESS"